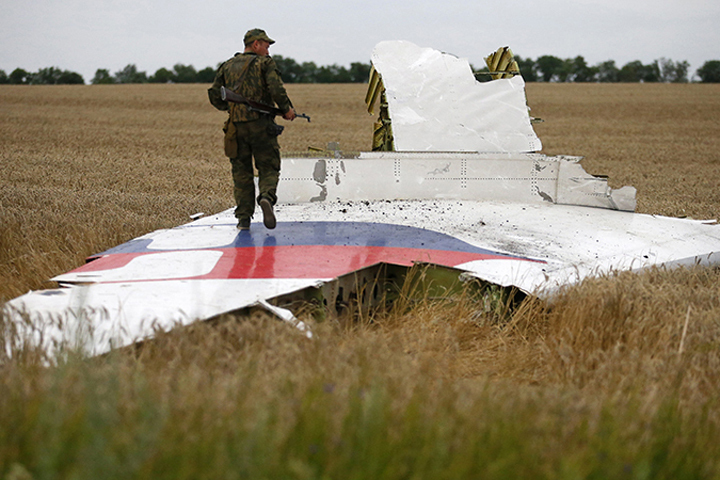 If Donbass Rebels Shot Down MH17, Why Did They Not Cover their Tracks? “A-26 was just shot down near the Progress mine of Torez”. Igor Strelkov (legendary Russian rebel leader during the early stage of military resistance in Donbass – ed) supposedly posted this sentence on his web page minutes after the crash of MH17. Those who believe that “militia and Russia are to blame for the crash of the Boeing” still use this phrase as a major argument. But what is the argument about? If I had witnessed a plane crash near Torez, I would have said: “The militia shot down a Ukrainian plane.” What else would have come to mind of any witness in that region back then? I saw Ukrainians firing at the site of the crash at random for almost half a year, preventing the Dutch from collecting the debris. Several times the militia offered the Ukrainians a truce, to let the Dutch finally take away the wreckage. What surprises me most is that the militia kept the smallest pieces of the fuselage at their headquarters, to protect them from metal-hunters, and locals were not allowed to collect anything from the vast area of the catastrophe. This is exactly what prevents me from believing that Russia is guilty. It’s 35 kilometers from our border to the farthest debris. Ukrainian troops were far from the road; our military would have covered not only their tracks but also planted fake evidence, to show the Ukrainians were guilty. At least they could have allowed local people on the field to take away metal evidence. Why would we have needed to protect it if the Ukrainians did not allow the Dutch there? Another surprising thing is the evidently fake phone calls between the supplier of the Buk missile system and the militia. The Ukrainian Security Service provided recordings of two idiots discussing how to bring the Buk from Russia to the militia, appearing to talk in veiled speech, but in a way that everyone understood. If the SBU (Ukrainian Security Service – ed) is so experienced at wiretapping, why didn’t it provide more significant recordings? When the opposite side shot down a Boeing by accident – according to its version – and began to cover up their tracks, imagine what should have been happening on the airwaves! Did your actors fail to provide anything ? Why do you spread all these fake phone talks, if the Ukrainian side is not to blame?